High humidity levels lead to mugginess and unease. No matter what the season, protecting your home from moisture and humidity is key to living comfortably in your home space and preventing substantial damage. Maintain the indoor humidity level of your home to between 30 and 50 percent and experience significant benefits. Along with sustaining a preferred comfort level, the ideal indoor humidity setting prevents surplus moisture. Excess moisture has the destructive tendency to rot a home’s wood furniture, drywall and window frames. Many other typical household items, like instruments, react adversely to condensation. Keeping humidity down also reduces the chances of mold taking hold and uncontrollably spreading throughout the home. Dust mites, other allergens and pest infestations have no chance in a properly humidified environment. Each home manages humidity differently. Factors that influence how well a house responds to certain humidity levels include the home’s unique construction or design, the airtightness of the home and if the builder installed vapor retarders. By all means, evaluate how your home handles humidity, and set the levels appropriately. A helpful device to gauge the ideal humidity level for your home is the hygrometer. This user-friendly gadget monitors the air, giving homeowners ample opportunity to adjust the humidity as needed. Crawl spaces are notorious for harboring excess moisture and high humidity levels. The damp environment is a breeding ground for pesky mold colonies. Rotted joists and damage to the home’s structures, like the subfloor, can result. Before you add insulation to the crawl space, remediate any standing water issues. Start the crawl space insulation process by installing vapor barriers along the dirt floor. A sealed space results when you seal the vapor barriers to the walls. Consequent to the sealing, cold air is blocked from this area. Finally, the crawl space walls should be treated with insulation. Homeowners who have basements in their homes can reduce problems with condensation in this area with adequate insulation. 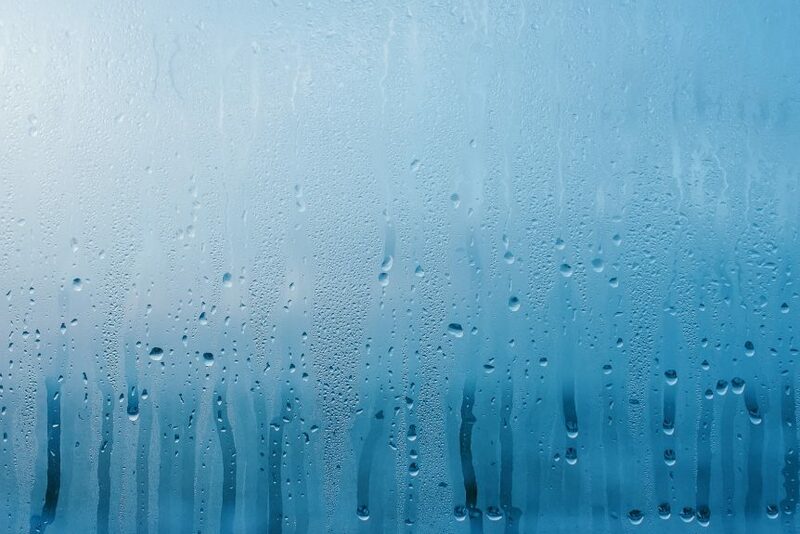 Condensation forms when moist air hits the cold pipes, walls and exposed duct work. Add insulation to these problem spots, and prevent moist air from reacting to the cooler surfaces. Second to insulating the basement is to increase the circulation, especially if the moisture levels are relatively low and there are no obvious leaks. Increasing air circulation works only if the basement is not packed with jumbles of belongings. In cluttered circumstances, air flow will be a challenge. Resolve the situation by removing some possessions to allow air passages around the goods and the basement walls. Run a fan in the basement to help distribute the air. A fan will not directly remove moisture, but a few hours of steady air flow will help alleviate minor dampness. 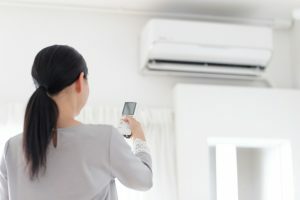 A central air conditioner also works wonders when air circulation is necessary to control humidity in this or any part of the home. Most homes feature built-in exhaust fans in the kitchens, bathrooms and laundry rooms. If your basement shower is utilized often, install an exhaust fan in this area. Make sure all members of the household use the exhaust fans when cooking and bathing. Fans that feature humidity sensors are a solid investment when it comes to making sure the fans run effectively enough to remove moisture from the bathroom. Additionally, showers can be kept short and cool to prevent steam and indoor humidity buildup. All exhaust fans should vent to the outside of the house, either through the walls or the roof. Regular inspections of the ducts are necessary to ensure blockages do not obstruct airflow. A dehumidifier efficiently reduces humidity in high-moisture spaces, like the basement. Mold starts to flourish in environments where humidity levels reach above 60 percent. Homeowners should set the dehumidifier to between 30 and 60 percent. Experts recommend a setting of around 50 percent, as a starting point, in the basement. Monitor the dehumidifier to see if it runs continuously; if the unit never shuts off, it is a clear indication that an air leak is present. In other areas of the home, the dehumidifier can be set to around 45 percent. The dehumidifier should be adjusted based on personal comfort. Air conditioners regulate indoor humidity. The AC unit suctions in the warm air, cools it and pushes the cooler air out into the home. Obtain a humidistat to control the humidity. In order for the AC to perform at its best, keep all doors and windows closed while it runs. Homeowners who run an air conditioner see improved energy efficiency. Certain indoor houseplants absorb moisture from the surrounding air, serving as an indirect form of moisture control. Plants that reduce indoor humidity levels include the Peace Lily, the popular Boston Fern, the evergreen perennial English Ivy and the low-maintenance Spider Plant. While plants like these help curb excess moisture from inside the home, they should not be the sole source of dehumidification. Implement several moisture control elements to sustain a less humid household. Water damage is a likely outcome of excess moisture inside the home. Before water damage spreads, contact your local water damage restoration professional, ServiceMaster Disaster Restoration and Recovery. Skilled technicians arrive immediately upon your call to extract all excess moisture from the premises. Advanced water extraction equipment and techniques speed up the drying process. An unwelcome consequence of unaddressed water damage is mold growth. Before water damage turns into an outbreak of mold, consult the mold remediation experts at ServiceMaster Disaster Restoration and Recovery. 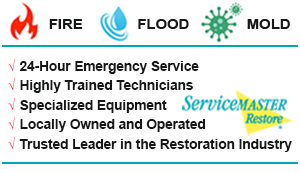 Whether your mold infestation is a meager 10 square feet or less or is an intimidating outbreak, ServiceMaster DRR is prepared to tackle the job. Prevent long-term damage with the help of reliable professionals. 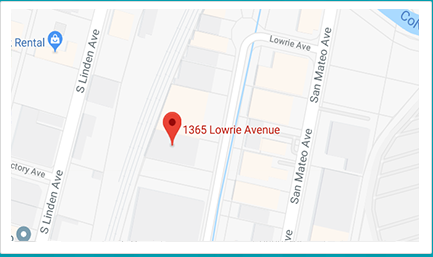 Business and residential communities in San Francisco, California, rely on ServiceMaster Disaster Restoration and Recovery for their comprehensive water damage restoration and mold remediation services.